Think you don't need to be fit to be a motocross rider? 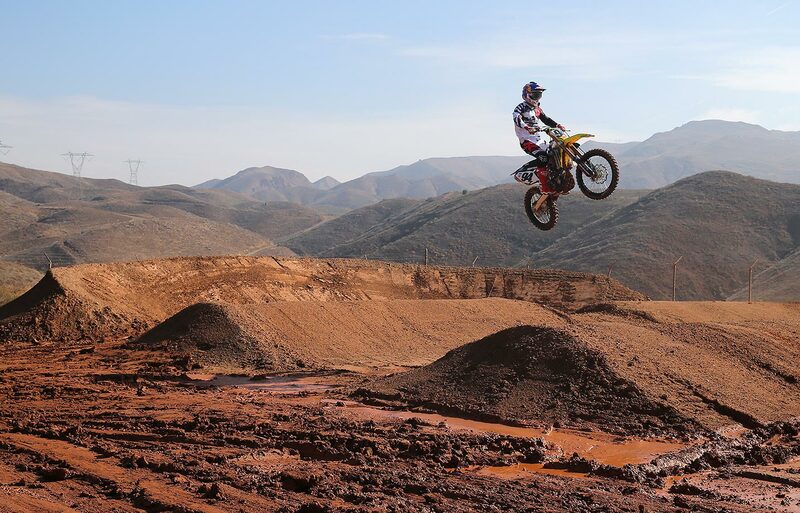 22-year-old German star Ken Roczen is out to break the stereotype with his intense workouts that prepare him to take the track. The final day of Ken Roczen’s preseason bootcamp in drought-stricken California on Nov. 22 was rained out. 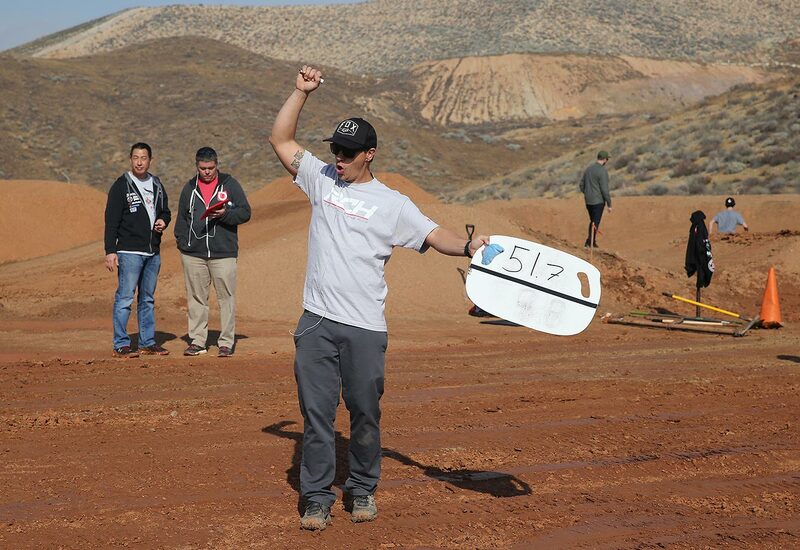 Over the previous four weeks his team had needed to water the dry earth each night to make Roczen’s custom supercross track rideable in the morning. But a rare downpour two days earlier had left the clay in the hills east of Vandenberg Air Force Base too heavy and sticky. Bootcamp wasn’t about honing handling skills, but rather building enough cardiovascular endurance and strength to see him through next year’s back-to-back supercross and motocross seasons. To make up for lost time, his personal trainer, Peter Park, told him to bring running shoes to the gym that afternoon. “I got away with just riding and having fun as a kid,” Roczen, who grew up in Germany, says. He won the FIM junior world motocross 88cc championship in 2007, turned pro two years later, at the age of just 15, then won the FIM world motocross 250cc championship in 2011. By 2013 he was racing in the AMA supercross 450cc category, and a year later he was in the Lucas Oil pro motocross 450cc championship, too. His year in 2014 was a high. He finished third in the AMA supercross season, then won the Lucas Oil motocross title. But 2015 was a low. Struggling with a stress fracture in his lower back, Roczen dropped to 12th in the supercross championship and failed to defend his motocross title, finishing second, 100 points behind champion Ryan Dungey. That offseason Roczen began working with Park. The trainer, who had previously worked with Australian motocross rider Chad Reed and cyclist Lance Armstrong, actively sought out Roczen. Park could see from afar that Roczen was genetically gifted, but felt that he needed better fitness fundamentals. “Making him bullet-proof so he’s strong, stable, and can withstand the rigors of two long seasons,” Park says. The biggest opportunity to improve Roczen’s fitness comes each fall. “We have about 30 to 35 races a year,” he explains. He gets a short break from racing and training after the motocross championship wraps up in late summer, and before the Monster Energy Cup offseason event in mid-October. After bootcamp, “it’s pretty much hammer time all the way until August or September,” he says. 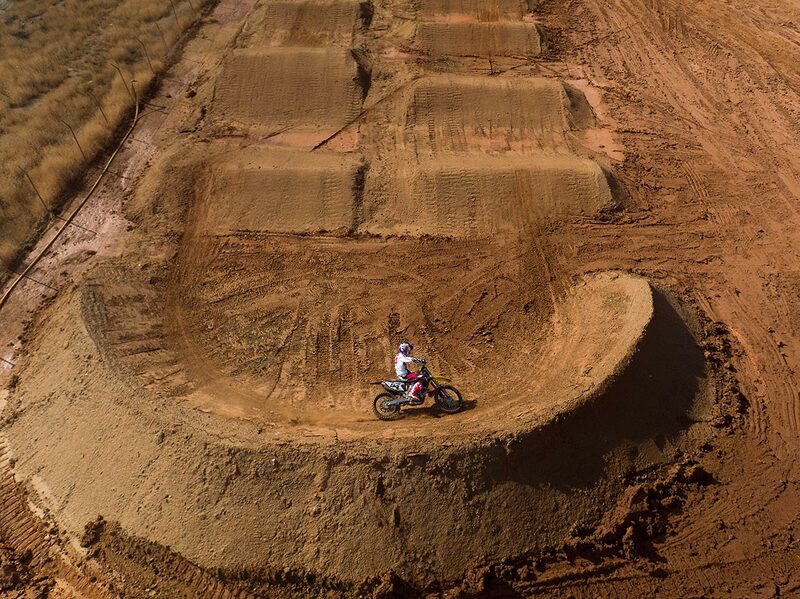 Long sessions on the supercross track are one way to develop the conditioning base needed to carry him through the season, but Park also sends Roczen out for lengthy rides on road and mountain bikes. Of course, there are differences between riding motorbikes and bicycles, but pedaling for three hours at a lower heart rate is a good way to build a fitness base. And riding a bicycle is a better way to challenge some of the same balance and coordination required on a powered bike than inventing weird and wonderful gym exercises. 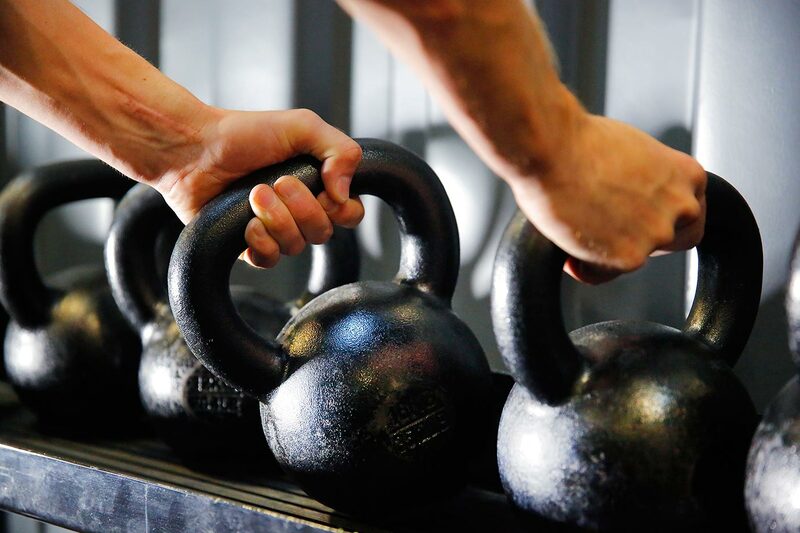 Indoor workouts often involve weights, but focus more on movement and stability than on maxing out strength. Last season, when Park was teaching Roczen how to lift correctly, he didn’t let the motocross rider near weights for a couple of months, until he had nailed the exact form of each exercise. Every session starts with a series of warm-up and activation drills using exercise bands. Though Park did send Roczen out to run hill repeats on a steep slope in the afternoon because of the missed morning session last month, Park doesn’t see the occasional extra rest as a problem. Roczen gets some big air on the team's practice track in Corona, Calif.
Ken Roczen gets some air on the 'whoops' section of the training facility. Ken Roczen, right, talks with Ricky Carmichael after a few practice runs on the track. Roczen rides the No. 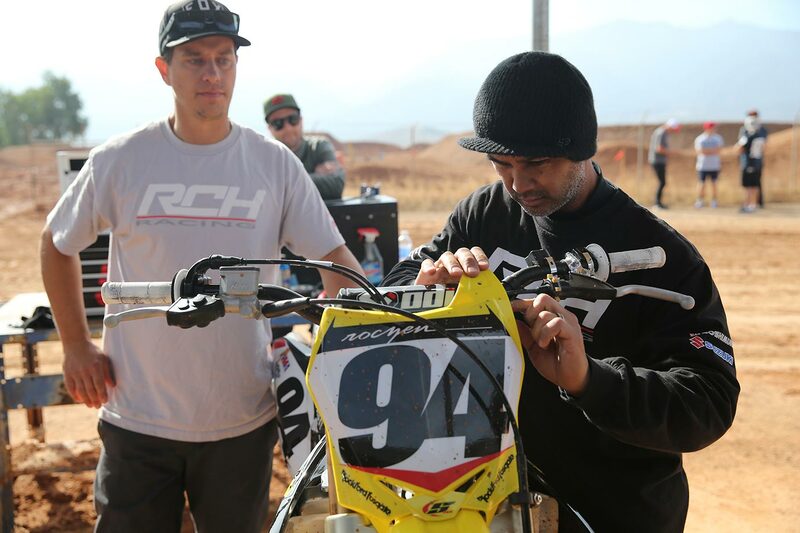 94 Suzuki for RCH Racing, which is co-owned by Cary Hart and Ricky Carmichael. Ken Roczen's mechanics make some minor adjustments to his Suzuki bike during practice. 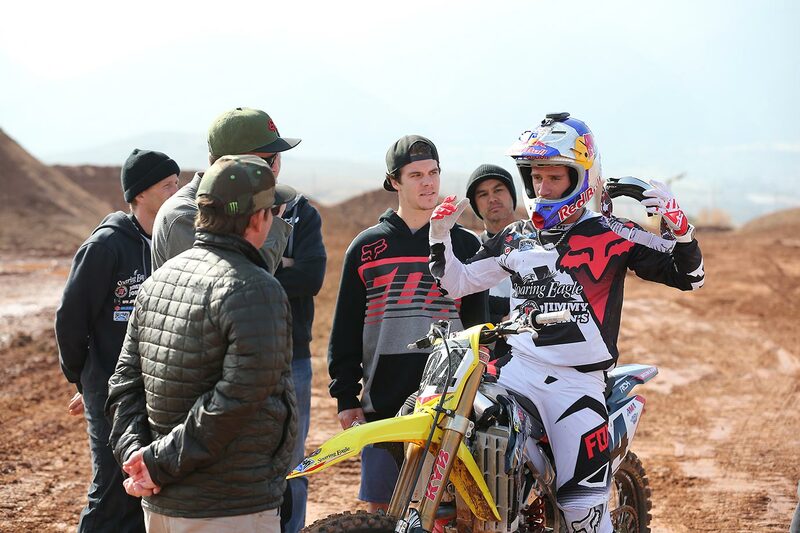 Ken Roczen talks with members of this team after a practice run at the team's training facility. 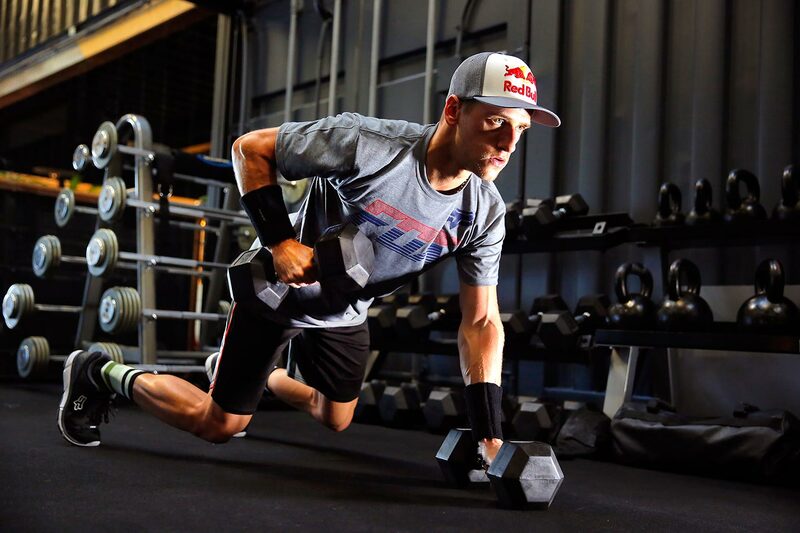 Weight training is a huge part of Ken Roczen's routine. 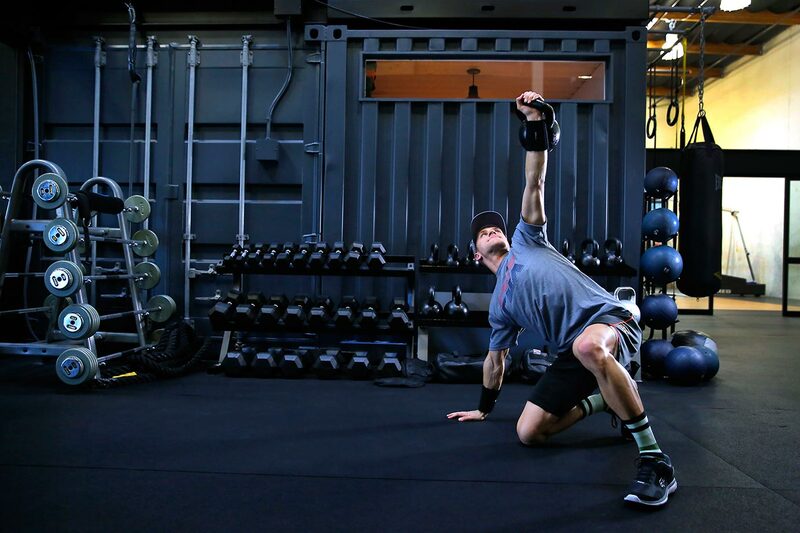 Ken Roczen utilizes a variety of exercises help keep his body in tune. 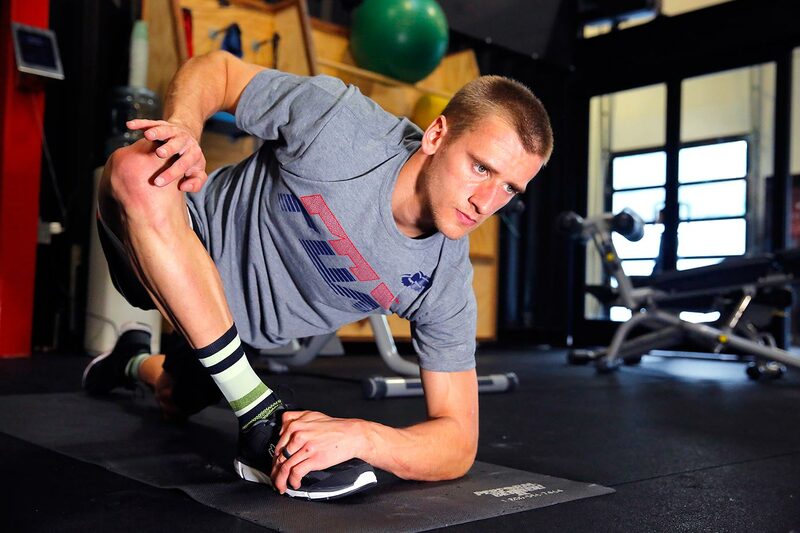 Stretching and flexibility help Ken Roczen perform at the highest level of his physically demanding sport. 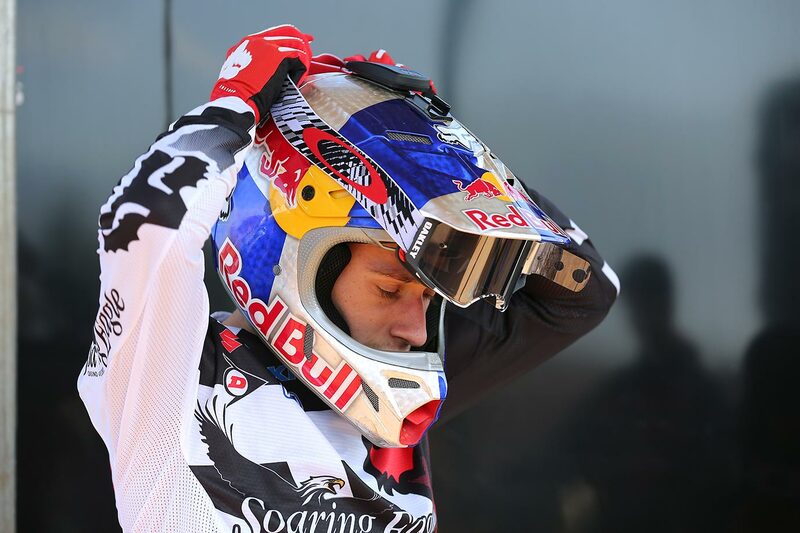 Keeping extremely physically fit helps prevent Ken Roczen from injury. 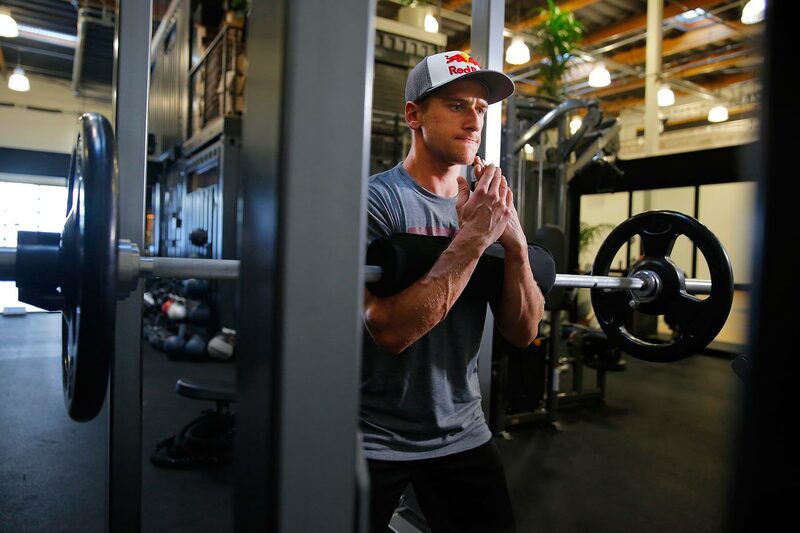 Ken Roczen grabs some weights for training in the gym. 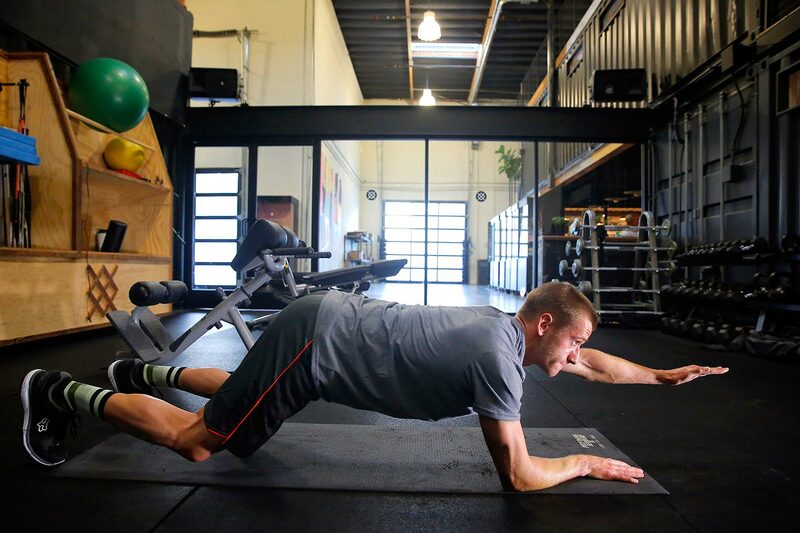 Ken Roczen works on strengthening his core and back muscles before races. Ken Roczen buckles up his boots before practice. Ken Roczen puts some weights on the machine at the gym this week during training. 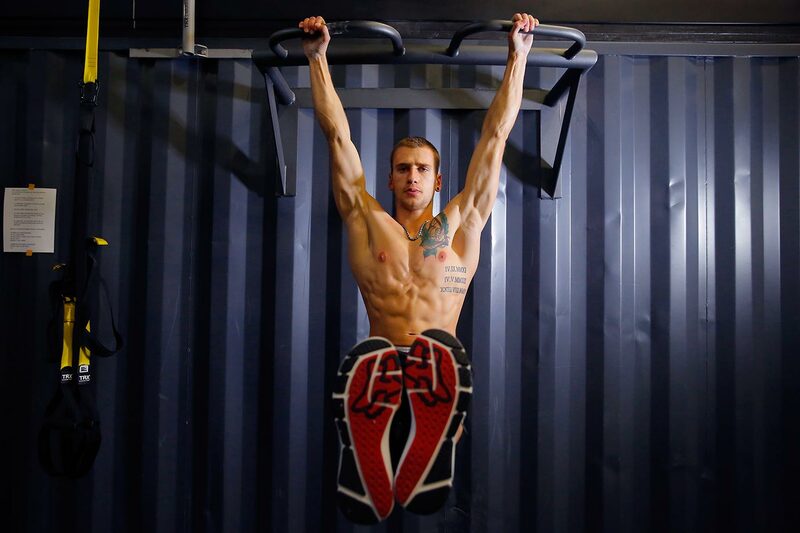 Ken Roczen is committed to being physically fit and works out in the gym to stay at the top of his sport. 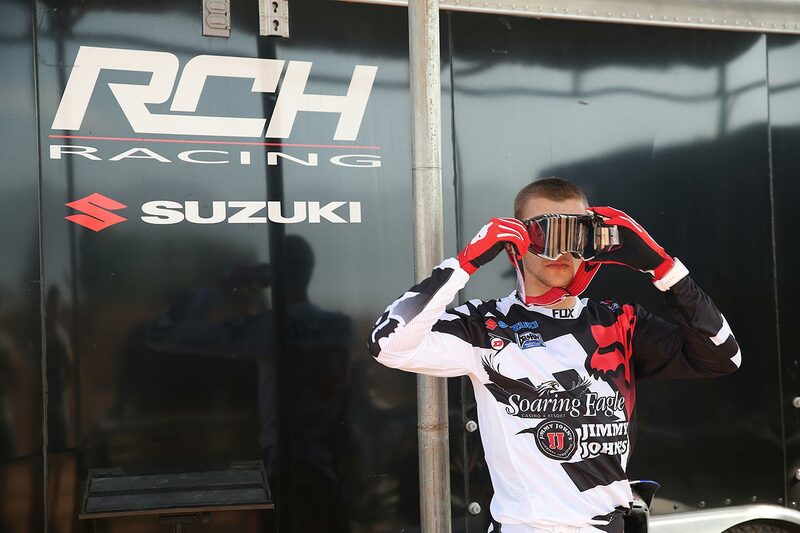 Ken Roczen hits the turn at the team practice facility in the hills of Corona, Calif.
Ken Roczen, who races for the RCH Racing Suzuki team in Supercross, adjusts his goggles before taking to the dirt track for practice this week. 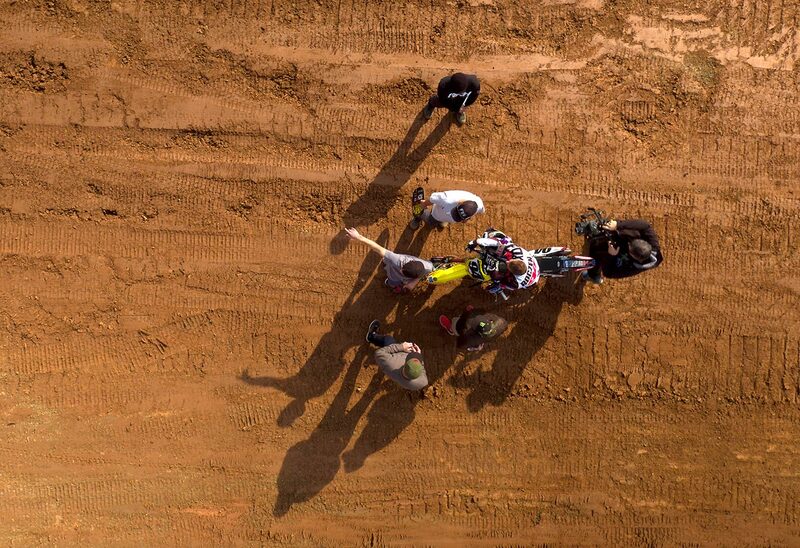 Ken Roczen talks strategy with his team. 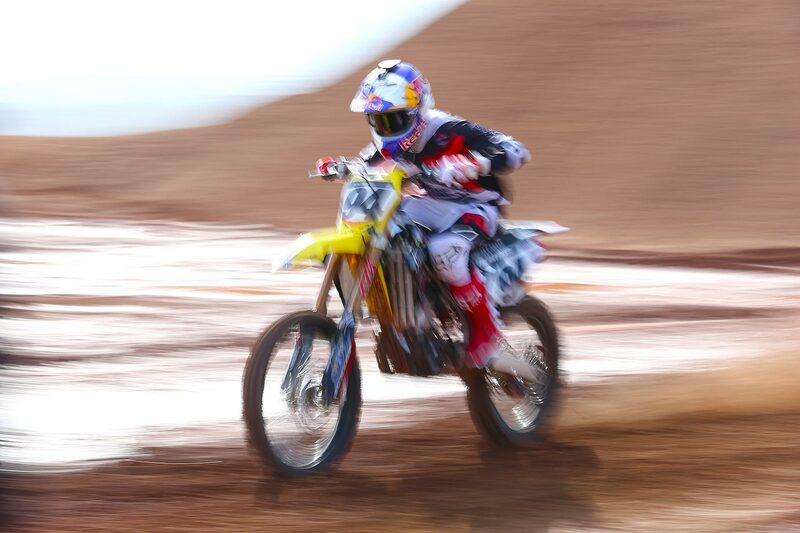 Ken Roczen gets some speed during practice. Ken Roczen straps his helmet on before heading out to the track for practice. 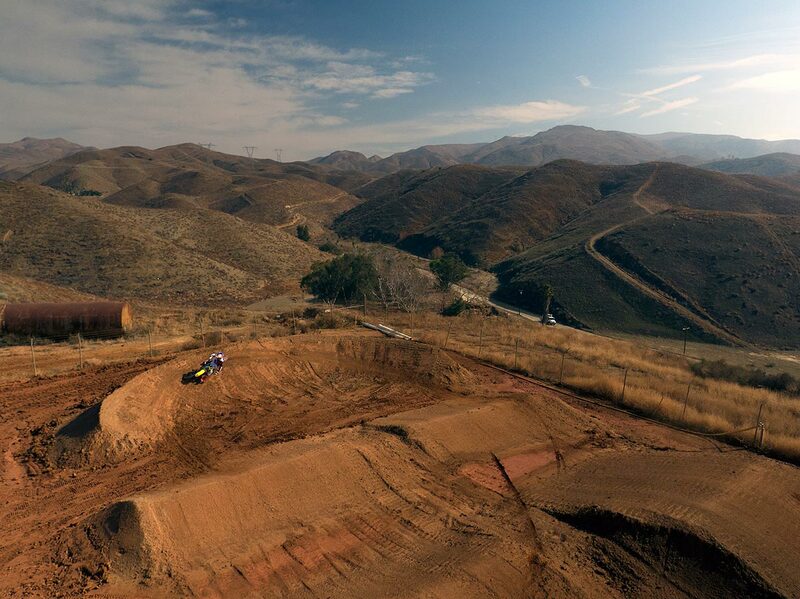 Ken Roczen practices his 'starts' at the team's training facility in Corona. 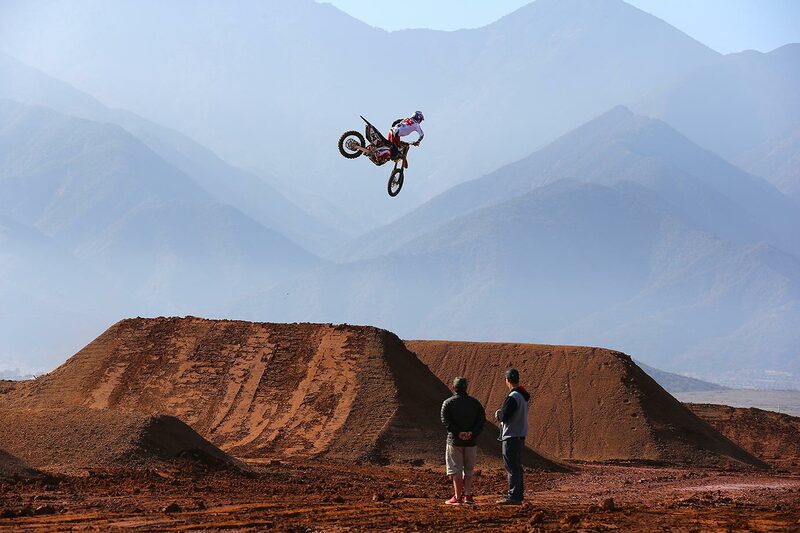 With the beautiful hills of southern California in the background, Ken Roczen gets in some pracitce riding time. 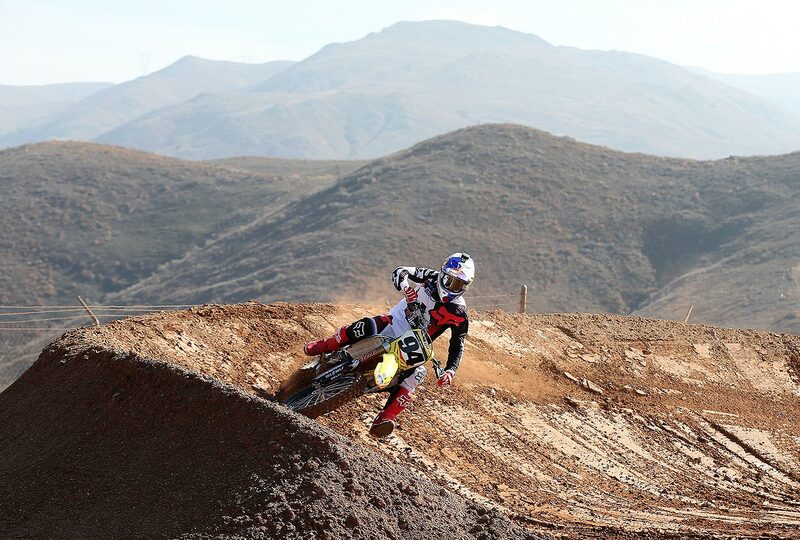 Ken Roczen practices in the turns. Ken Roczen's team cheers him on during practice at the team's training facility in Corona. 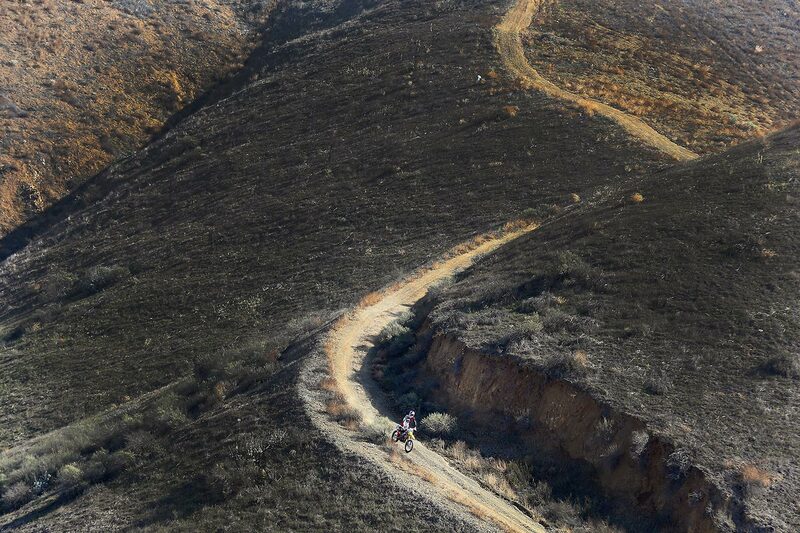 Ken Roczen rides down a mountain trail in the hills of Corona. 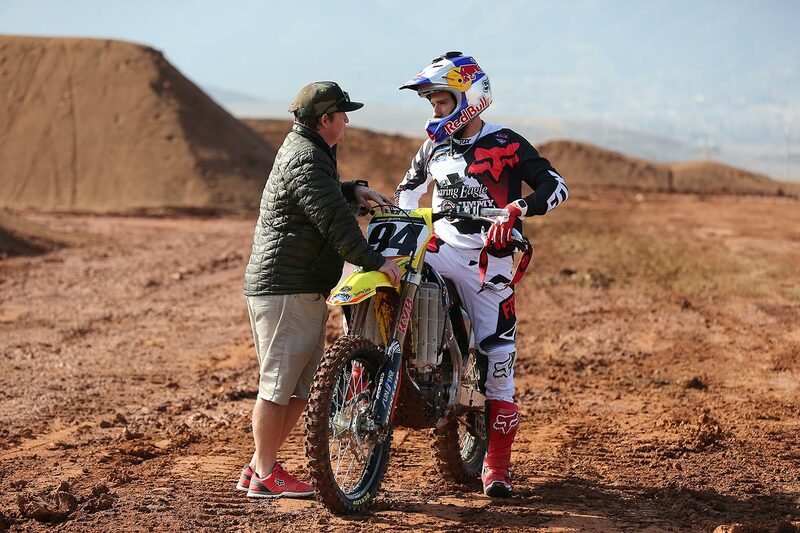 Trainer and rider usually discuss the plan each day, adapting as needed to keep Roczen in the ideal zone of being pushed enough, but not too much. Last year Roczen recorded his best-ever supercross finish, second in the AMA 450cc series, and recaptured his motocross championship. But even the best-laid plans sometimes go awry; a lot can happen in the long supercross-motocross double-header season. The 2016 Monster Energy Cup is a perfect example. Roczen won the event in 2015, and was ahead this year, until a face-plant crash in the second race knocked him out of contention. ​​Roczen finished last season fitter than ever, and this year bootcamp was more a tune-up than a radical reboot. With his fitness goals checked off, he’ll spend December honing his riding skills at home in Florida. He’ll know if it all paid off when he lines up for the first race of his 2017 AMA supercross season in Anaheim on Jan. 7.